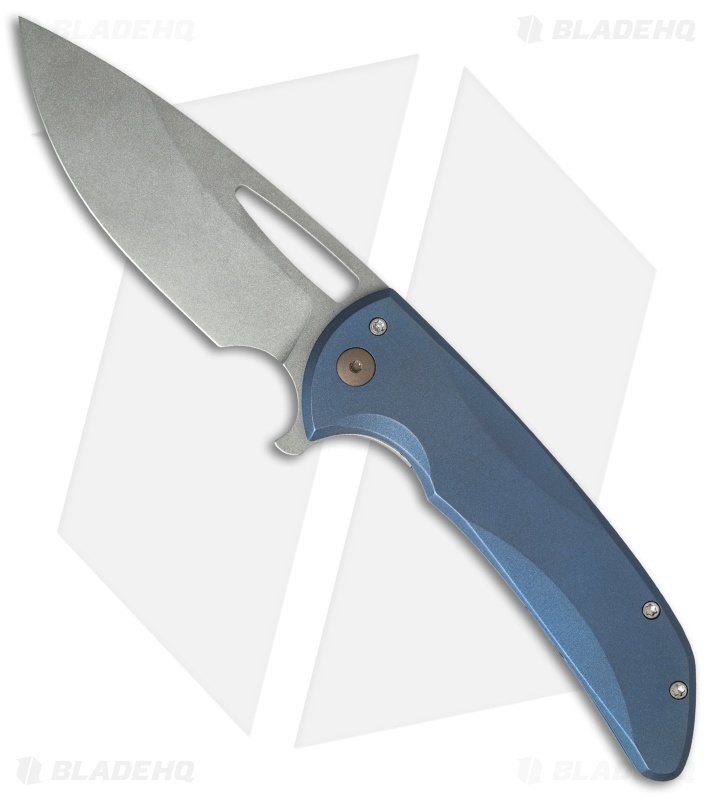 The Archbishop is the latest Mid-Tech flipper to come out from Ferrum Forge knives. It features the same hand finishing and attention to detail you've come to expect from Ferrum Forge but without the full custom price tag. 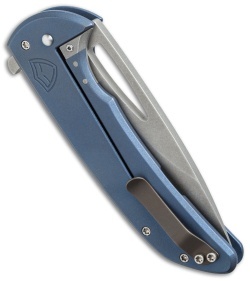 The Archbishop is outfitted with sturdy titanium handles and a proven CPM-20CV steel blade. 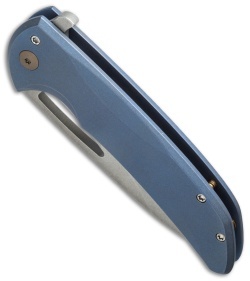 It comes in an aggressive drop point style with a flipper and a thumb hole for ambidextrous deployment. This model is outfitted with a blue anodized titanium handle with machined contours. CPM-20CV blade steel for excellent corrosion and wear resistance. Titanium frame lock with over-travel insert provides a solid lock up. Bent titanium pocket clip for comfortable tip-up carry. Hoback rolling Detent secures blade closed without impeding flipper deployment.